PCCUA has been involved in Achieving the Dream (ATD) since 2007. ATD is a national initiative to help more community college students succeed and focuses on student groups that traditionally have faced significant barriers to success, including students of color and low-income students. Priorities include success in remedial education, supplemental instruction, early alert program and student success I and II. Funded by the Winthrop Rockefeller Foundation. 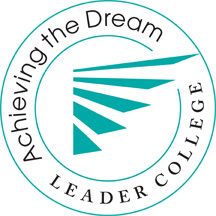 In September of 2014, PCCUA was among 16 colleges to be recertified as an Achieving the Dream Leader College.